CUT STROKES and HIT FARTHER - Check out our NEW GEAR for 2009 - AVAILABLE NOW! from the grass at 339 Yards! 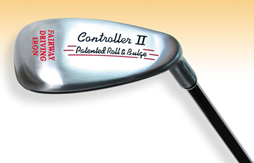 - Utilizes proprietary "Roll n Bulge"
Thank you for visiting ScientificGolfClubs.com! Our products utilize special, patented designs that we've created - and, in many cases, they're made from proprietary composites that no other golf club or ball is made from. 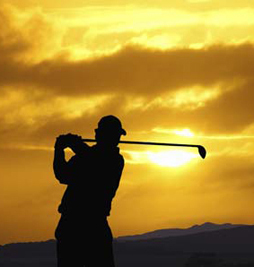 Our unique golf clubs, golf balls and golf accessories are sold exclusively through us - directly to our customers. Our products are NOT found in stores. They are famous for delivering unreal distance and incredible accuracy. Golfers like our equipment so much because it enables them to cut strokes - by hitting the ball farther, while also dramatically decreasing - or altogether eliminating, hooking and slicing! One of our clubs, The Controller II Driving Iron, recently hit a ball so far - it broke the WORLD DISTANCE RECORD from the grass - at 339 yards! You can check this club and other new clubs and balls in the "New Products" section. Good golfing!